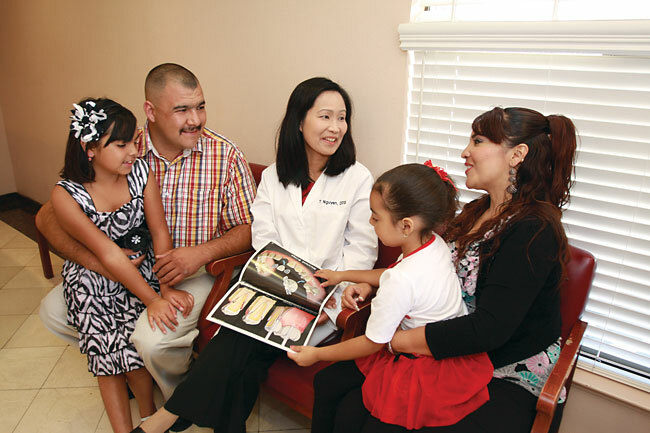 Dr. Nguyen treats the entire family. Dr. Nguyen will provide you and all your family members ages eight-and-up with affordable dental care while using the latest equipment and the gentlest procedures. She is very experienced in advanced, minimally-invasive procedures that can gently give you and your family healthy, beautiful smiles. Dr. Nguyen is very caring and patient. She knows how to talk with kids and reassure them that everything is going to be okay. Her shots are virtually painless and most kids do not even notice that they’re getting one. Here at Santa Maria Dental Group we offer various services for kids including sealants to prevent cavities. She can even straighten crooked teeth on teens with Invisalign®, once they are 12 or when all their adult teeth have erupted. Dr. Nguyen shows your children how to properly care for their teeth. The key to effective preventive dentistry for your child is to ensure they have regular dental cleanings and examinations. Early detection of cavities means more comfortable treatment. And Dr. Nguyen’s ultrasonic scaler uses sound waves to gently clean your child’s teeth and remove any plaque or tartar buildup. During the exam, besides searching for cavities, she will check the development of your child’s dental arches. She wants to make sure your child develops the very best facial form, bite, and profile possible. Dr. Nguyen will also patiently instruct kids on the best way to brush, and may discuss the advantages of electric and sonic brushes in the fight against cavities. If appropriate, she will discuss fluoride and sealants to help fight cavities. 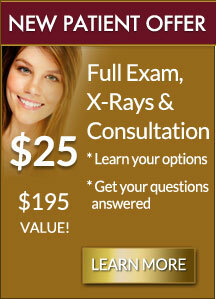 We help seniors to feel comfortable and relaxed while getting the dental care they need. Senior Dentistry is about treating the unique dental conditions experienced by mature adults. Dr. Nguyen has advanced training and years of experience in areas of dentistry a mature adult might need.